Polycarbonate vs. Trivex Eyeglass Lenses - Which Is Right for You? Polycarbonate vs. Trivex eyeglass lenses: Which are right for you? When eye safety is a concern, polycarbonate or Trivex lenses usually are the best choice for your eyeglasses, sunglasses and sports eyewear. Both polycarbonate and Trivex lenses are thinner and lighter than regular plastic lenses. They also offer 100 percent protection from the sun's harmful UV light and are up to 10 times more impact-resistant than plastic or glass lenses. This combination of lightweight comfort, UV protection and impact resistance also makes these lenses an excellent choice for children's glasses and safety glasses. Polycarbonate and Trivex lenses both will provide clearer, more comfortable vision if anti-reflective (AR) coating is applied to the lenses. AR coating eliminates distracting lens reflections that can interfere with vision, particularly when driving at night or in other low-light conditions when glare sources are present. Polycarbonate was developed in the 1970s for aerospace applications, and is currently used for the helmet visors of astronauts and for space shuttle windshields. Eyeglass lenses made of polycarbonate were introduced in the early 1980s in response to a demand for lightweight, impact-resistant lenses. Since then, polycarbonate lenses have become the standard for safety glasses, sports goggles and children's eyewear. Because they are less likely to fracture than regular plastic lenses, polycarbonate lenses also are a good choice for rimless eyewear designs where the lenses are attached to the frame components with drill mountings. Most other plastic lenses are made from a cast molding process, where a liquid plastic material is baked for long periods in lens forms, solidifying the liquid plastic to create a lens. But polycarbonate is a thermoplastic that starts as a solid material in the form of small pellets. In a lens manufacturing process called injection molding, the pellets are heated until they melt. The liquid polycarbonate is then rapidly injected into lens molds, compressed under high pressure and cooled to form a finished lens product in a matter of minutes. Despite its many advantages, polycarbonate isn't the only lens material suitable for safety applications and children's eyewear. In 2001, PPG Industries (Pittsburgh, Penn.) introduced a rival lens material called Trivex. Like polycarbonate lenses, lenses made of Trivex are thin, lightweight and much more impact-resistant than regular plastic or glass lenses. Trivex lenses, however, are composed of a urethane-based monomer and are made from a cast molding process similar to how regular plastic lenses are made. This gives Trivex lenses the advantage of crisper optics than injection-molded polycarbonate lenses, according to PPG. Thickness. Polycarbonate has a higher index of refraction than Trivex (1.58 vs. 1.53), so polycarbonate lenses are about 10 percent thinner than Trivex lenses. Weight. Trivex has a lower specific gravity than polycarbonate, making Trivex lenses about 10 percent lighter than polycarbonate lenses. Optical clarity (central). Trivex lenses have less internal stress and may produce sharper central vision than polycarbonate lenses. Optical clarity (peripheral). Trivex lenses have a higher Abbe value and may produce sharper peripheral vision with less chromatic aberration than polycarbonate lenses. Impact resistance. Polycarbonate and Trivex lenses have comparable impact resistance. UV protection. Polycarbonate and Trivex lenses both block 100 percent of the sun's UV rays without the need for special UV-blocking lens coatings. Availability. Polycarbonate lenses are available in a wider variety of lens designs (e.g., progressive lenses and other multifocals) than Trivex lenses. Photochromic lenses are available in both materials. Cost. The cost of polycarbonate and Trivex lenses can vary considerably, but many optical stores charge more for Trivex lenses than polycarbonate lenses. Your professional optician can discuss the pros and cons of polycarbonate and Trivex lenses so you can decide which lens material is the best choice for your needs and budget. Polycarbonate and Trivex lenses are much more impact-resistant than regular glass and plastic lenses (including other high-index lenses) because these lightweight lens materials are relatively "soft" — which means they can absorb energy without lens fracturing. This flexibility also means polycarbonate and Trivex lenses need a scratch-resistant coating to prevent surface scratches. Today's modern scratch-resistant coatings can make the surface of polycarbonate and Trivex lenses nearly as hard as glass. Most eye care professionals offer a lens warranty to protect your lenses against scratches for a specified period of normal use. Ask your optician for details. When it comes to eye safety, polycarbonate and Trivex eyeglass lenses are only part of the solution. For the best eye protection at work and during sports, be sure you also invest in high-quality safety frames or frames designed specifically for sport eyeglasses. Regular eyeglass frames are not rated for use as safety glasses and typically don't provide the type of eye protection needed for sports. Therefore, playing sports while wearing an eyeglass frame that is not rated for sports eyewear is dangerous and can result in a serious eye injury if the frame breaks, dislodging the lenses. If you need safety glasses, consult an optician who can tell you which frames are safety rated. For children's eyewear, choose a sturdy frame and lightweight polycarbonate or Trivex lenses. Even if he or she does not participate in organized sports, choosing impact-resistant eyeglass lenses and frames is an important step to protect your child's eyes throughout the day for a lifetime of good vision. Original version of this article was by Liz DeFranco, ABOC, NCLC. 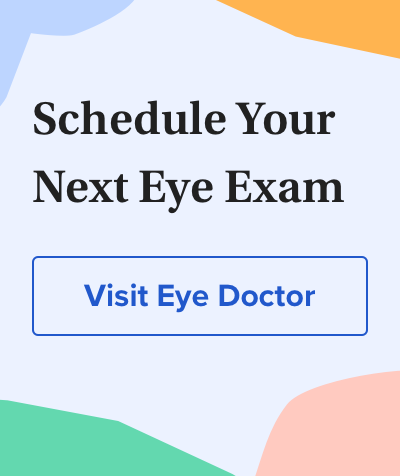 What Type of Lens Is Used to Correct Nearsightedness?